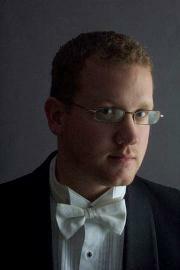 Jeremy A. Skelton is the Director of Choral Activities and Performing Arts Department Chair at Silver Creek High School. Mr. Skelton has been teaching choral music for over 17 years and is in his 12th year at Silver Creek. He holds a Bachelor’s Degree in Music Education from the University of Nebraska at Omaha, and a Master’s Degree in Choral Conducting from Florida State University. Mr. Skelton is passionate about choral music and strives to create opportunities for students and audiences to share in that passion. Through diverse repertoire and high musical expectations, Mr. Skelton encourages his students to reach new artistic heights and to find connections that bring the music to life. His goal is to foster a strong community of singers and parents that will not only be coinsurers of choral music, but promoters of it as well. The Raptor Choral Program is made up of 5 ensembles: two women’s choirs, two mixed choirs, and a men’s choir. Each group rehearses 90 minutes every other day and performs a minimum of 4 concerts a year. The mission of the Raptor Choral Program is to foster an active and supportive singing community that strives for musical excellence through personal and group ownership. Bella Voce (Italian for beautiful voice) is a select women’s choir that focuses on strengthening knowledge of ensemble singing and performance, music reading, ear training, and musicality. The ensemble is open to grades 9 – 12. Cantore (Italian for male singer) is a non-select men’s choir that explores the unique challenges of the male changing voice, and focuses on the fundamentals of ensemble singing and performance, music reading, ear training, and musicality. The ensemble is open to grades 9 – 12. Concert Choir is a select mixed choir that focuses on strengthening knowledge of ensemble singing and performance, music reading, ear training, and musicality. The ensemble is open to grades 9 – 12. Chamber Singers is a small, select mixed choir that focuses on enhancing musical independence, ensemble technique, music reading, ear training, and musicality. Members of Chamber Singer also sing in other auditioned groups. Chamber Singers frequently represents Silver Creek in the community, and is open to grades 10 – 12. Women’s Ensemble is a non-select women’s choir that focuses on the fundamentals of ensemble singing and performance, music reading, ear training, and musicality. After a year, members are encouraged to audition for the more advanced ensembles of Bella Voce or Concert Choir. The ensemble is open to grades 9 – 12.